With 75 years of experience, Price Pump is a leading manufacturer of superior quality Centrifugal and Air Operated Diaphragm (AOD®) pumps. These pumps are dependable, competitively-priced and perform well for many demanding applications. Price pumps can handle a variety of liquids ranging from water and oils to solvents and chemicals. With a wide range of sizes, flows and pressures, Price Pumps prides itself on its versatile line of centrifugal pumps. Price pumps are used across many industries including agricultural, laser, chemical and waste treatment. The centrifugal pumps offer high-performance in demanding applications, and the Price Pumps offers a wide range of models to fit specific application requirements. BPH Pumps carries a variety of Price Pumps products. 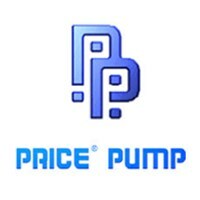 Browse our in-stock Price pumps below.